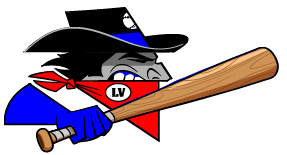 The Raton Osos (13-51) had a tough outing on Monday, as the Las Vegas Train Robbers (40-25) dominated in a 13-1 win in seven innings. The Las Vegas Train Robbers scored four runs in the sixth on an RBI single by Gary Stauff, , a sacrifice fly by Eddie Medina, and. Joey Haskell got on base four times in the game for the Las Vegas Train Robbers. He scored three runs and had one RBI. He doubled in the third inning and singled in the fifth and sixth innings. Medina got the win for the Las Vegas Train Robbers thanks to 15 strikeouts. Medina allowed one earned run, six hits and two walks over seven innings. The Raton Osos were led by a flawless day at the dish by Stedman Smith, who went 2-2 against the Las Vegas Train Robbers pitching. He singled in the third inning and doubled in the fifth inning. Jesse Meier ended up on the wrong side of the pitching decision, charged with his first loss of the year. He allowed six runs in four innings, walked two and struck out none.